Turning a £7 worth webcam into a simple home surveilance system. Cambozola is a Java plugin that decodes multipart JPEG streams. Mozilla-based browser have native support. This plugin is for browsers like Internet Explorer that lack that support. Navigate a web browser to http://localhost/zm. Click “Add New Monitor”. Settings for Logitech QuickCam Pro 5000 are shown below. Under “System” tab, tick the box for “Authenticate user logins to ZoneMinder” to enable creation of user accounts with varying sets of permissions. Under “Images” tab, check “Is the (optional) cambozola java streaming client installed” if chose to install earlier. Path to cambozola java streaming client should be “cambozola.jar”. 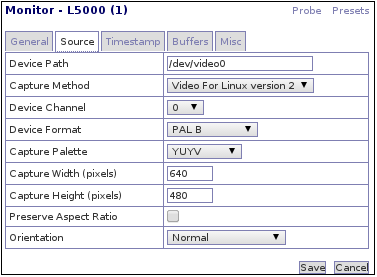 Under “Images” tab, add /usr/bin/ffmpeg to “Path to (optional) ffmpeg mpeg encoder (?)”. Also check Log section on Zoneminder WebUI. 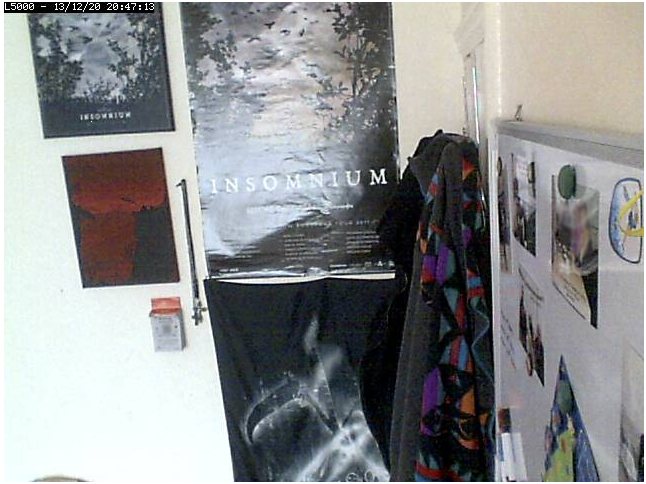 This entry was posted in Linux, Monitoring and tagged Apache2, Debian, Logitech QuickCam Pro 5000, Zoneminder. Bookmark the permalink. If you notice any errors, please contact us. I enjoyed reading you research above. If you elaborate on this at some point would you consider developing for Mint? Hi Paul. I’m glad you found it enjoyable to read. However, I’m not sure I understand your meaning regards further elaboration and development for Mint. You may want to be a bit more specific. I guess he meant you could do something (tutorial or even a porting) focused on Linux Mint Distro. I don’t use Linux Mint myself, but as far as I’m aware, Linux Mint is based on Debian and Ubuntu. Therefore I don’t see why this article would not fit for any Debian based distribution, including Linux Mint. Yep agreed… as I don´t use either I really dont know… anyway, nice tutorial tho.. Thanks for it.